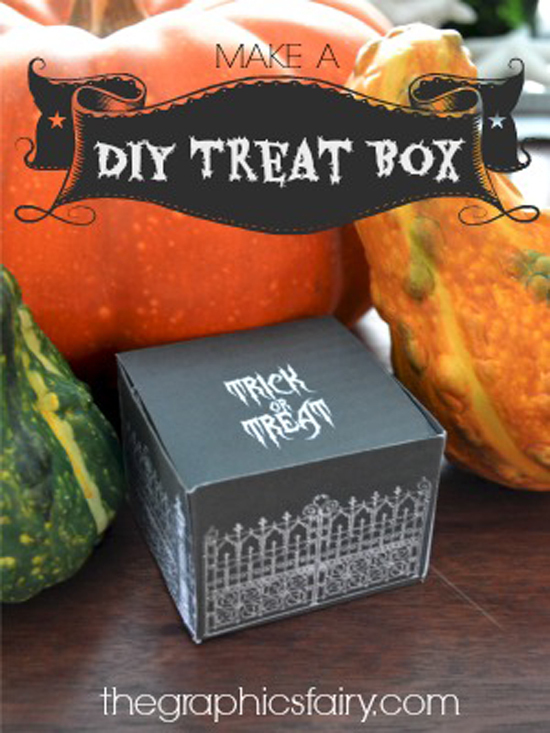 DIY Halloween Treat Boxes are a quick and rewarding craft. 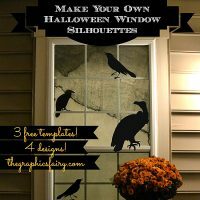 I promise these only take a few minutes and you can probably use supplies you already have at home. I love this template because it’s fairly straightforward to put together. 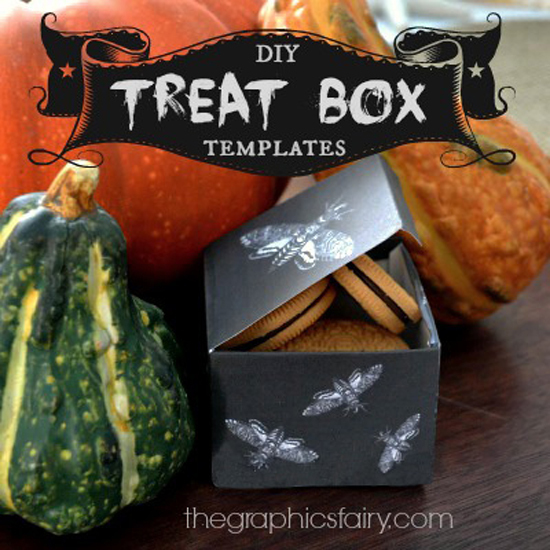 Just grab a glue stick or some tape, and you’ll be filling them with treats in no time! 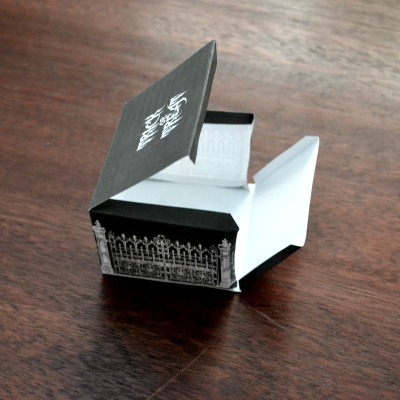 The finished boxes are around 2 3/4″ wide by 2″ deep. 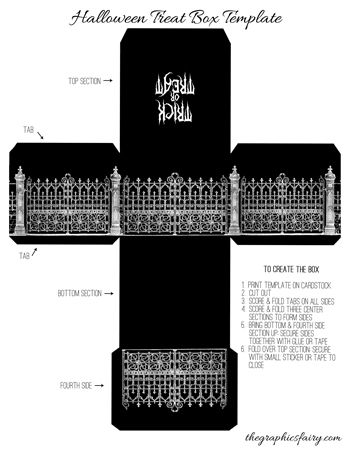 We’ve taken two spooky graphics from the site, an iron gate and a moth image, and digitally collaged them against a pitch black sky. I hope you enjoy them! Gather your supplies. 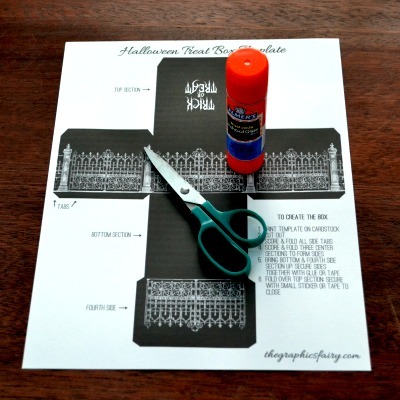 You will need white card stock paper, scissors, and a glue stick or tape. Print the template and cut out the box shape. Fold the set of tabs on each side of the box. Fold the bottom of the box and the fourth side of the box up to join the others. Secure the tabs with tape or glue. Next fold over the top of the box. After filling the box, you may want to secure it with a small sticker or decorative tape. Fill your box with candy, and you are finished! 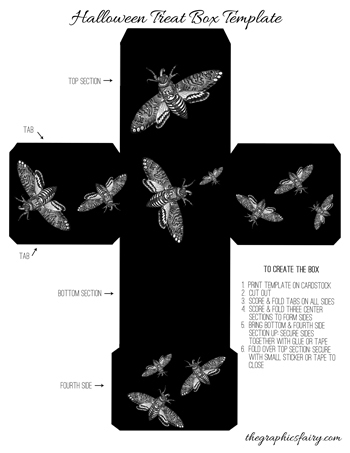 The images used for these two templates were the Iron Gate and Death’s Head Hawk Moth, both from The Graphics Fairy. The font used is called Zombie Holocaust by Chad Savage and you can find it on our list of free Halloween Font recommendations here. Thanks so much, Karen! I’m definitely adding you to my blogs list! I LOVE these. Was looking for an idea for a teen halloween party. These will be perfect. Thank you for all the beautiful things you so generously share! Thank you so much ! 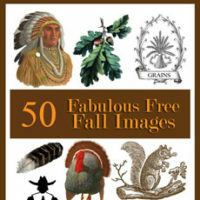 I’ll might use them to decorate classrooms too. First of all these boxes are adorable. When I click on the download link to get the template nothing happens. I really would love the template. Please let me know if it’s me or the link doesn’t work. 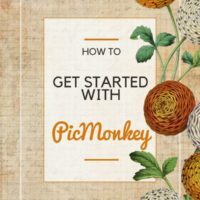 I wanted to make sure you’re clicking on the words in blue that start with “CLICK HERE to download…” If you’re clicking the image in the post, you’ll be getting a low resolution version picture. You need to click those hyperlinked words after the image. I just checked both downloads and they came up ok for me. If you click those linked words, it will bring up the PDF file. In the upper right of that screen there is an icon to download the PDF to your computer.